Hand moulded by an artist in a small village in Peru. 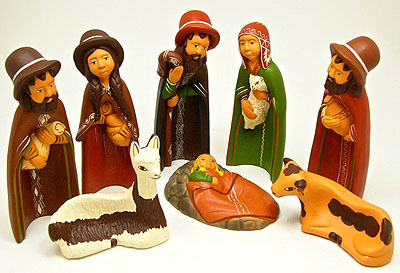 This nativity is hand painted with vibrant colors . A sunk-in similar to a crescent shape and is a heavy durable clay nativity set. 8 pieces, tallest piece - 6" in. high.